We love rail trails and paved and unpaved paths. They help us navigate off of busy streets and let us enjoy a relaxed pace. But many are doomed to never reach their full potential and languish in relative obscurity. The simple reason for this is that many of the folks who are involved focus on the hard yards of actually getting a trail created, and don’t consider what follows after a trail is made. There is a Field of Dreams assumption that, “if you build it, they will come.” Unfortunately, there is nothing further from the truth. A trail in many ways is similar to a sports arena. Land has to be acquired, substantial money raised and infrastructure built. But as we know, an arena doesn’t fill itself. There has to be constant programming to keep it busy: sporting events, music festivals and expos. It is through the programming that people discover the area, enjoy the space and know to come back to the trail in the future. The trail itself is not the finished painting. Is is only a blank canvas. We spoke at a session a few years ago at the International Trails Symposium and we asked these questions to a room full of trail advocates and engineers.. Why is there no marketing? Why is there no planning for programming AFTER the trail is built? The answers varied but were clustered in a few distinct silos: 1) the assumption that the presence of the trail would be enough to attract users, 2) the fact that many trail advocates were only interested in the building of the trail, 3) the lack of funding for anything beyond trail construction. Our jaws dropped. To us, that is the equivalent of Apple spending billions in the R&D and manufacturing of the latest iPhone and spending no money marketing it. In our experience, many who excel at getting a trail created don’t have the skillset or are not interested in the marketing of the trail. This makes sense. It is rare person that can do both well. However, knowing this limitation, it also makes sense to find those partners who do have the ability to market and program a trail after it is complete. In our observation, many people look at trails as just infrastructure that people will eventually find and use, and less like a product/experience that has to be sold to the public. If your trail is a neighborhood connector, primarily for local use, then the discussion of programming doesn’t really apply. 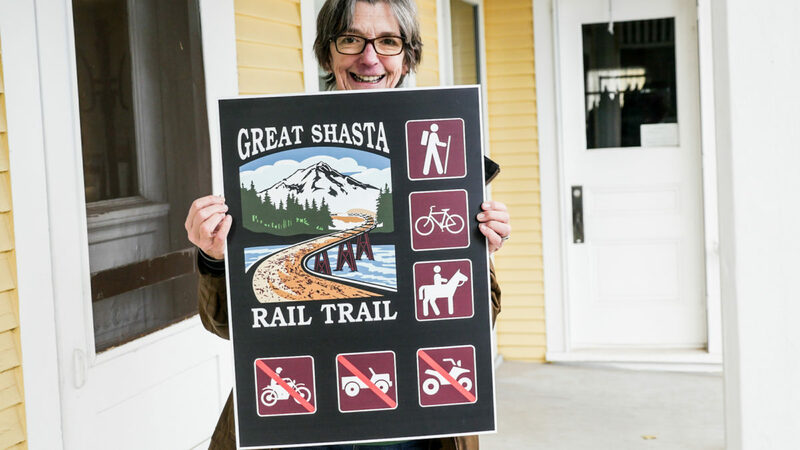 But if the goal of the trail is to attract people from outside the area as a tourism asset, then programming should be prioritized. What does trail programming look like? In our experience trail programming can be broken down into passive and active programming. Passive programming is artwork, kiosks, fix it stations, a shaded bench and interpretive signs. Any physical object or feature that adds to the user’s experience. Many trails can suffer from being a monotonous green tunnel that doesn’t really invite people to stop and interact with the space or leave a memorable experience. Active programming are events, gatherings or festivals that fill a trail with an activity. It could be as simple as hosting a local 5k or other distance running/cycling event. If a trail runs parallel to a river, it could be a creative relay where people pedal upstream and paddle downstream. One of the most unique multi-sport activities we’ve seen is the Flyathalon, an event that combines trail running and fly fishing! Another popular trail event that we’ve seen is the Pedaler’s Jamboree, a musical festival that occurs on a rail trail. Participants pedal from town to town, enjoying different musical stages. Another interesting example is the OC&E Trail in Southern Oregon. It is an unpaved trail that starts in Klamath Falls and ends unceremoniously in the town of Bly, Oregon. It essentially languished in disuse until it was incorporated and repackaged into a multi-day bikepacking route called the Oregon Outback. Now, visitors from around the country and the world have ridden what was once a trail with very little use. This one anecdote is packed with so much about what goes wrong and what can go right with a trail. By leaving political posturing aside, they were able to come up with an evocative and compelling name for the trail. Too often, we’ve seen trails named after politicians or donors. While it is great to give recognition to contributors, they often don’t inspire people to ride the trail, nor do they come up in an online search. By focusing on the regional name recognition of Mt. Shasta (many outsiders would not be familiar with either town Burney or McCloud, but would have recognition of Mt. 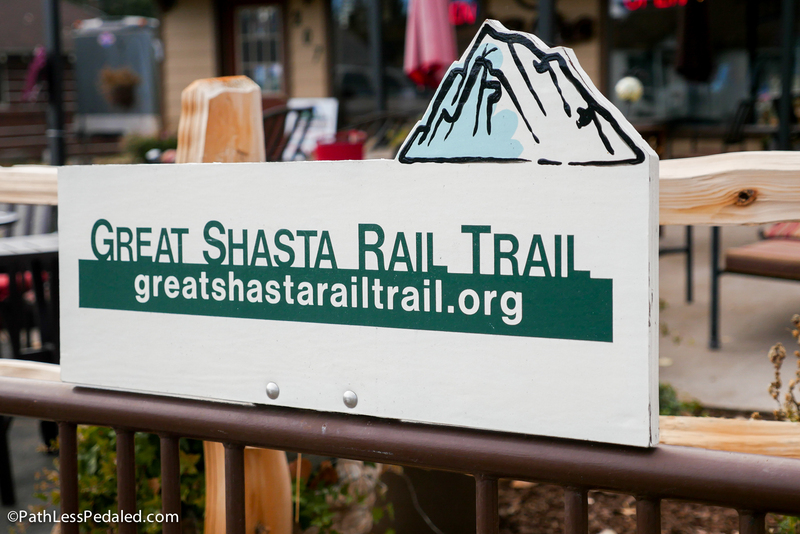 Shasta), the trail is anchored in a powerful regional icon. 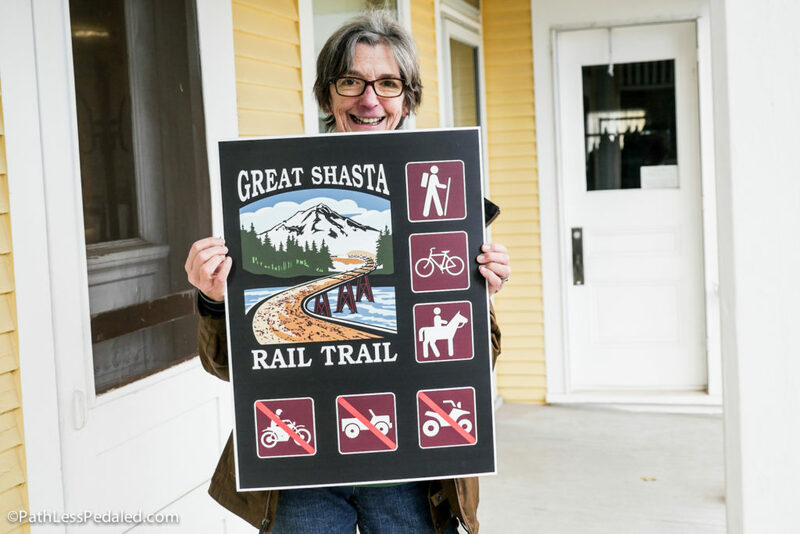 April was also fortunate to find a local graphic designer that volunteered with branding and logo design, ensuring that from the beginning the trail would have a cohesive and recognizable experience. As roads become more congested, people will turn to trails for recreation. However, these people must be able to find the trail. As trail and bicycle advocates, we have to recognize that once the physical construction of a trail is complete, the real work of ensuring the use and longevity of the trail is just beginning. Or to put it more eloquently: To know is to love. To love is to protect. But first, people must know the trail exists. Once people know a trail exists there needs to be a website with good information. Many of the trail websites I’ve used aren’t up to date or are difficult to navigate. Having a good paper map available also makes planning easier. Great column. When we were traveling from Canada to Wyoming I was looking for a place to overnight and ride. We found it, but both the Trail of the Coeur d’Alenes and Route of the Hiawatha had super clunky web sites that were hard to stumble onto without much helpful info we really wanted. It’s gotten much better now, but at the time I felt like a detective trying to puzzle out whet was there and how to get the most out of it. Locally, our bike path trail “system” that includes the Mokelumne Trail and Delta Deanza (outlying SF Bay area/Delta region) trail lacks simple signage to help one navigate the odd gaps in it . It’s a great path, but I feel for visitors or new users who have to figure out how to get around on it. So, yep, everything you said. I think it’s also imperative for someone (trail groups, trail users, whoever) to make sure Google Maps and other mapping services are up to date and comprehensively reflect the trail’s location and assets — parking, restrooms, hours, trailheads, etc. I’m probably forgetting some things. Also, suggested routes and connections to the trail are very useful. Maybe I’m one of the only people who do this, but browsing Google Maps and scouting out places to travel to is one of the best ways to find trails.